Jags Podcast. Hosted by Ctjags. A Jaguars Podcast made by a Die hard Jags fan. For Jaguars fans world wide. Logo while made by tdjaxtim. 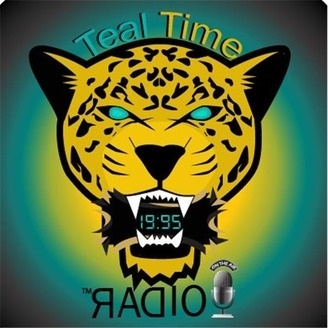 It was a gift to Teal Time Radio. And used to broadcast this show only. Also Included will be Stream Time a Entertainment review show for TNA Wrestling fans and Reality TV ones. 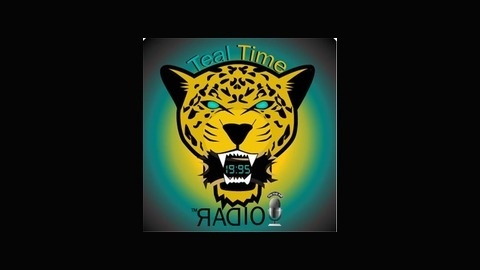 As a Teal Time Radio production. All expressive content solely the opinions of Teal Time Radio Broadcast team. Not Affiliated with the NFL, Jaguars, or any Reality TV enterprise. Any Unauthorized Re broadcast will be punishable by law. We got to talk to Up and Coming producer and emcee. Hartford CT own Jack Nickelz. We talked about his movies influences. His great beatz. His family values and soo much more. Heard It first on Teal Time Radio. Where we matter cause u matta! Get to know Manuill. Cause Man U ILL! Bold City Brigade member Capp joins us in a special Jaguars Community Interview.